GACTA appoints its first paid staff member, Addison Staples, as part-time Executive Director, effective 1/1/2014. April 2014: GACTA became a member of Up2Us. May 2014: GOWTL (day league) luncheon raffle raises $725 for GACTA. August, 2014: GACTA holds its first annual fundraiser, The Bryan Shelton Celebration of Gainesville Tennis, Past and Present. This event raised over $25,000 for GACTA. November 2014: USTA Florida Section Foundation grant award ($7078) for expansion of the Aces in Motion program in new 21st CCLC elementary schools and to establish a Special Olympics tennis program, based at Sidney Lanier Center. 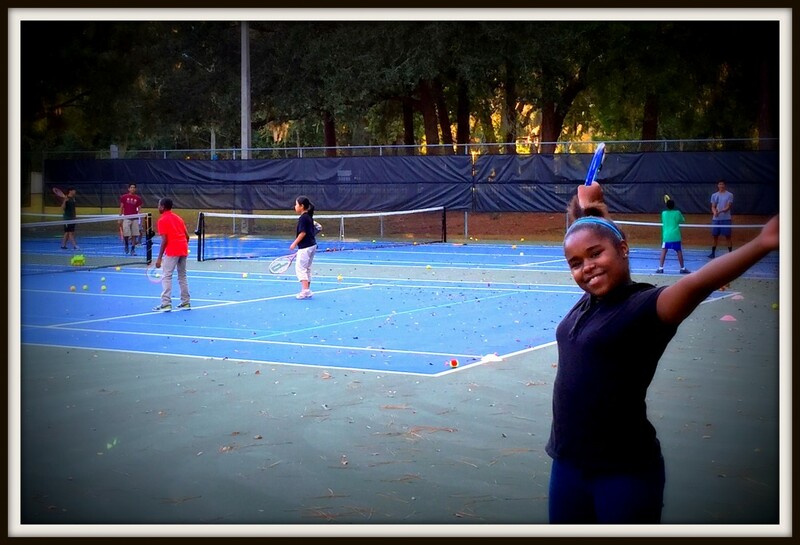 December 2014: Awarded USTA Foundation grant support of $12,500 to expand AIM programming at Boulware Springs Charter, Pineridge neighborhood and at T.B. McPherson. In addition, GACTA was awarded a $25,000 USTA Foundation NJTL grant to increase the capacity of our organization (expand Executive Director position to full-time and hire a program director. 21st CCLC tennis program continues at HBMS and Lincoln Middle Schools. After school programming continues at various elementary schools and T.B. McPherson. April 22nd: First Kids Count tennis clinic held in church parking lot at Rawlings site. Partnership begins to provide tennis instruction to all students at Boulware Charter School as part of the PE program. Partnering with Youth Combine to provide once a week tennis instruction at HBMS. Nov 22nd: USTA Florida Annual Meeting. One of the original Aces in Motion participants, Keonna Perry, provided a testimonial at the Awards Dinner, explaining what tennis means to her. December 7th: GACTA 10th Year Anniversary Party and Annual Meeting at the Gainesville Country Club. December 12th: GACTA received word that we received $12,500 in grant support from USTA Foundation to expand programming at Boulware Springs Charter, Pineridge neighborhood, and T.B. McPherson after-school program, and $25,000 in grant support from the USTA Foundation NJTL Capacity Building program.